There are many families who would like to have a dog for a pet, but can’t due to a family member being allergic to dog dander. Fortunately, there are dogs that are perfect for people who are allergic. Poodles are a perfect choice for people who have dog allergies. Poodles, Shih-Tzu, American Hairless Terrier, and many other hybrid breeds are hypoallergenic dogs, and there are other dogs that would fit well in a home where there are allergies to dog dander. No dog is allergy free, because most dogs produce some amount of dander. The dogs listed in this article produce less dander than other dogs. You, as a dog owner, will still need to be responsible and take measures to keep the dander down in your home. If you or someone in your family is allergic to dog dander, you should use a good air purifier with a HEPA filter, because the filter will catch the tiniest dander that may be airborne. You will also need to vacuum often, and you should have a vacuum that has a HEPA filter on it also. Because, you or someone in your family is allergic to dog dander, it is important to keep your dog out of your bedroom and off the furniture in the home. 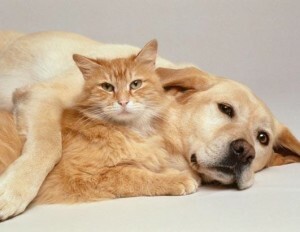 Your dog should have its own place to sleep separate from the person who is allergic. People, who are allergic to pet dander, are sometimes also allergic to pollen. When the pollen count is high outside, you should keep your dog inside as much as possible, because your dog will pick up pollen on its fur. 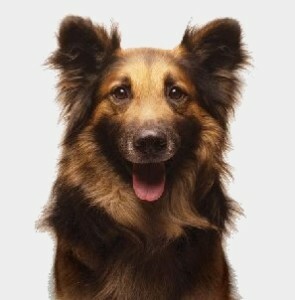 Before bringing a dog home, it is best to do a search on the Internet to learn which dogs are the most hypoallergenic. Still, after doing your search, you should take some time to think about the commitment you will be making to the dog, if you should bring the dog home. It would be good to visit your local pet shelters to see if there are dogs there that would be a good fit into your home. If you visit a shelter, you can spend time with a dog and evaluate your allergic response. You might want to make a few visits to a shelter to spend time with more than one dog to see which dog bonds best with you, as well as your allergic response to the dog. If all goes well in a few days, you might want to consider bringing a dog home with you. You would be doing two things by taking the time to find the right hypoallergenic dog; you will make your dog and yourself happy. The standard and toy poodle are good choices. Poodles are perfect for a person with allergies because they don’t shed their hair like most other dogs. To avoid that doggy smell, you need to bathe a poodle fairly often, and they should be clipped and groomed about every 6 weeks. The Shih Tzu is also a very good dog for people with allergies. The Shih Tzu doesn’t shed, or sheds very little. The Shih Tzu is an indoor dog; it cannot tolerate the heat and cold of the outdoor environment for long. This dog is very good for an apartment dweller. The American Hairless Terrier is a really good breed of dog to have, if you have allergies. This dog should be bathed up to three times per week. You need to apply sunscreen to this dog when it is outside to prevent sunburn. The dog’s skin may get dry, so it is important to keep the dog’s skin moisturized; however, you should not use a lotion with lanolin. There is no need for flea treatment on the American Hairless Terrier, because it has no hair. There are many more breeds of dogs that make wonderful pets for people with allergies. Other breeds of dogs to consider are the Basenji, the Bichon Frise, the Yorkshire Terrier, the Schnauzer, the Spanish Water Dog, and many others can be found on the Internet. The Basenji does not bark like other dogs, so if you live in an apartment setting where there needs to be quiet, this might be the right dog. With a little time and research you will be able to find the perfect dog to fit into your life.